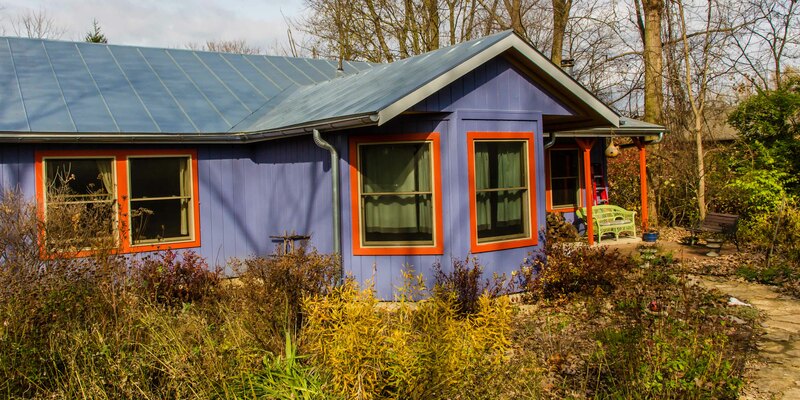 I first met Jennifer Rosengarten as she was participating in last month’s Yellow Springs Artist Studio Tour. I was attracted to the colors in her work, and to the loose, almost representational style. I visited so I could post her photo as ARTIST OF THE WEEK on the facebook page Dayton at Work and Play. Even if I hadn’t already seen her work, I would have known Jennifer was a person who loves color as soon as I entered the driveway of her home. 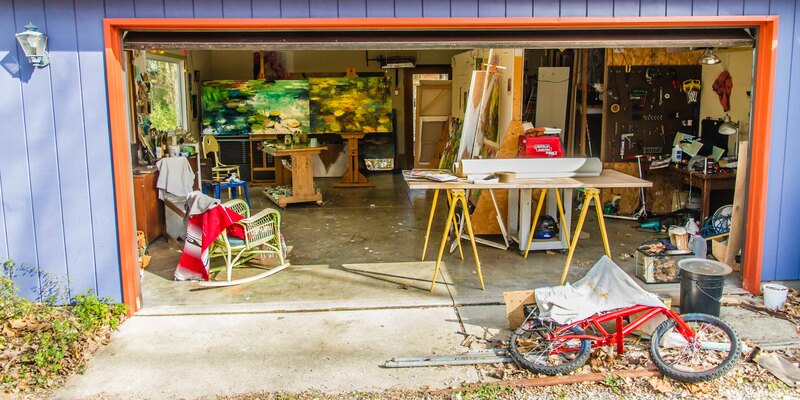 Walking down the driveway to the rear of her home, you see that the garage has two occupants. “My son is learning to weld, so we both need some space,” Jennifer explained. 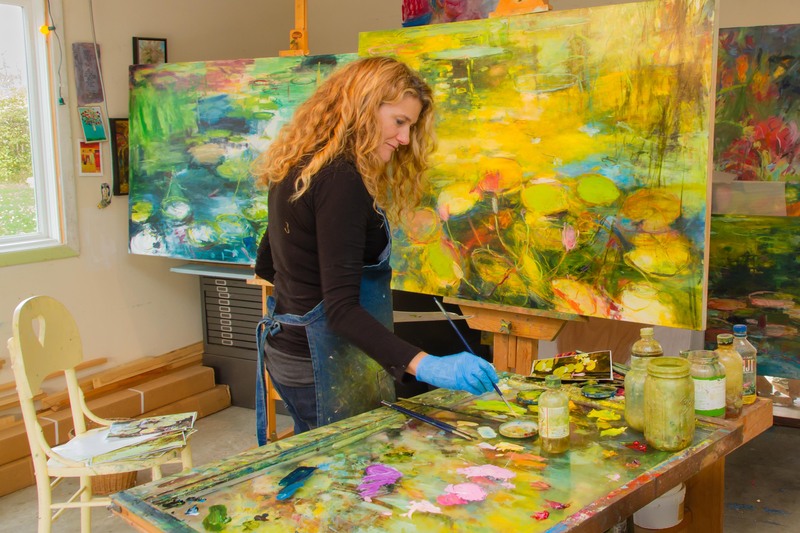 As you walk into Jennifer’s studio you are entering a world apart. Most of her pieces are large, and you seem to lose yourself in them. That large size fits the needs of many of her business clients. 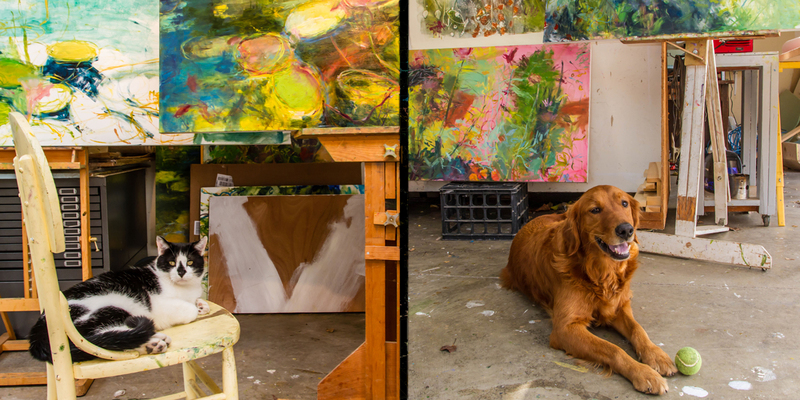 Part of the life force in Jennifer’s studio comes from her two pets. Her cat Milo likes to be in the middle of the action, often watching Jennifer’s brush strokes. Jennifer’s dog Sidney waits near the open door. Sidney was trained to be a service animal but flunked out because of his obsession with tennis balls. If Sidney had his way, Jennifer would throw the ball all day instead of wasting her time painting. Jennifer has spent a fair amount of time in academia. 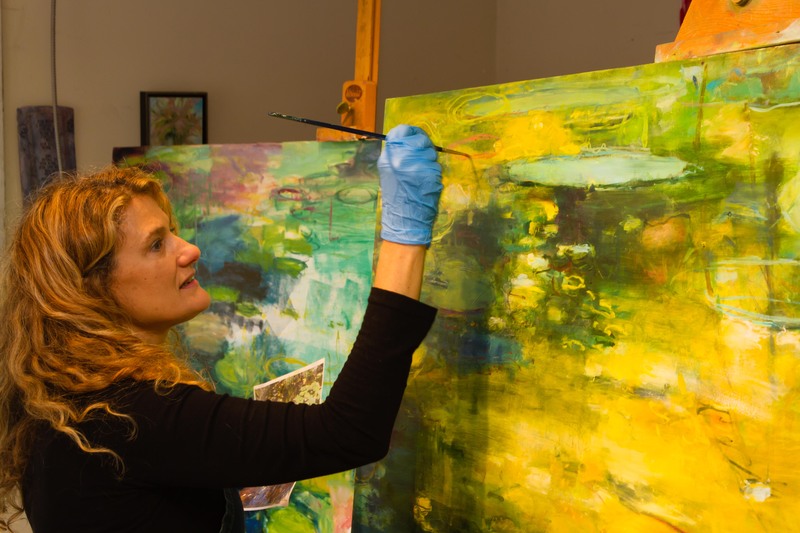 She has art degrees from Wright State University and Boston University, and she taught at the college level – first at Providence College and then later at the University of Dayton. She sometimes misses that environment, but feels her work has grown since she started focusing full time on her painting. 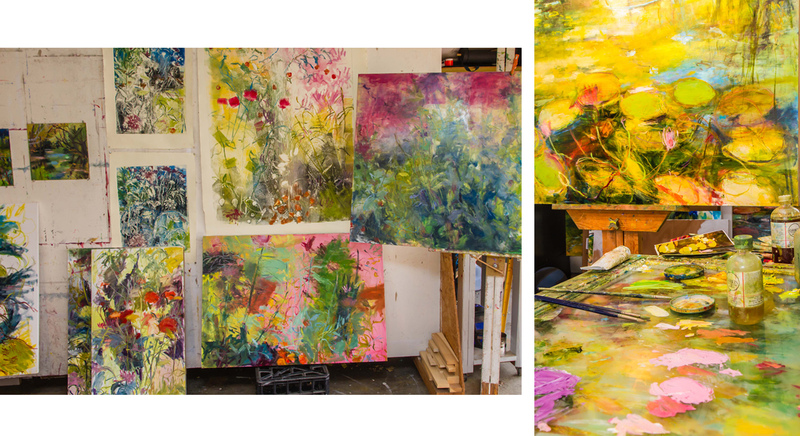 In a studio with this much colorful art, getting good photos of Jennifer at work was easy. The only difficulty was choosing which one to post.